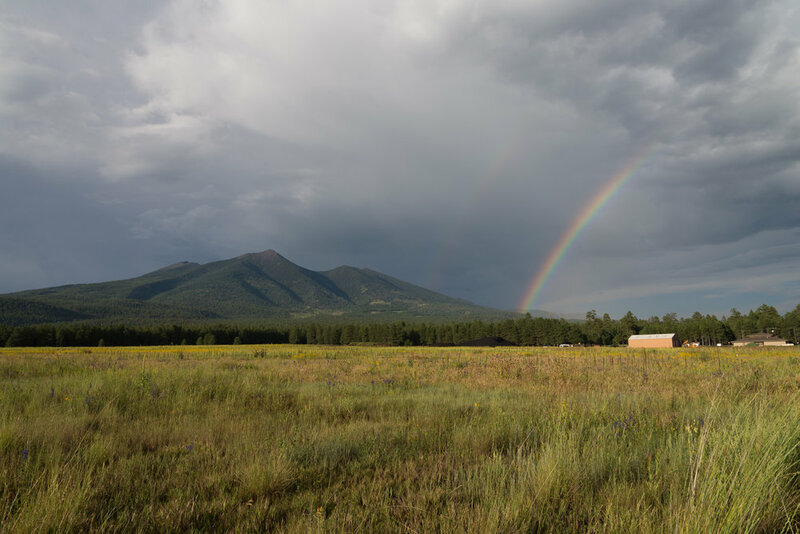 The first photo was taken near Flagstaff, Arizona during Monsoon Season on a local storm chase back on August 15, 2015. The second photo was taken in Northern Ontario, Canada during a fishing trip on June 17, 2017. Here is a look at the before and after of the first photo (with 49% of the vote). There is a pretty big different with this photo, and a large part of that is because I didn't get my settings right in camera. I was a little too overexposed, so I corrected for that in post. In addition to bringing up the contrast and increasing the clarity, I also used the brush and gradient tool in Lightroom to make more focused edits on both the foreground and the sky. If I were to reedit this photo now with the knowledge that I have gained over the past 3 years, I would definitely make a few changes. Now on to the next image. Here is the before and after of the winning photo (51% of the vote). I didn't really have to do too much to this photo. The foreground was purposely underexposed to account for the sun. I decided to go this route as opposed to bracketing and merging multiple photos. I ended up bringing down the highlights a bit, pulling up the shadows, and adding some warmth to the photo. That's all for now, and be sure to follow me on Instagram to see the next images that will be posted for voting! Let me know what you think about this type of blog post and if you want to see more. Thanks for reading!